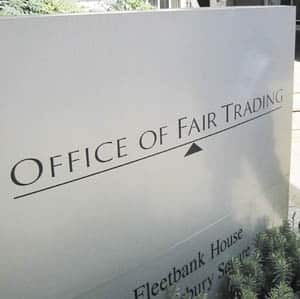 I took a call on Wednesday afternoon from the OFT (The Office Of Fair Trading) asking if I would assist them in a study into the Quick House Sales market. I was genuinely pleased to hear that such a study will take place, the market has increasingly felt like a 'free for all' especially now that the market is showing some signs of improvement and the thought of quick and easy gains has encouraged unprofessional buyers into the field. After my chat, I received an email with a very detailed questionnaire which reassuringly seeks to learn every aspect of the market and indeed our actual business. I say reassuring because I was fearful of hasty over regulation which may have stifled a service that many home owners find valuable. The result of the study is due, I understand in July and it will make very interesting reading. In my view the problem with the system can be broken down into two elements. So here's what I think. . .
Should Such 'Quick House Sale' Services Exist At All? A property is an asset like any other, be it a car, diamond ring or ipad. I believe that sellers should be free to sell this asset to whomever they chose at a price that they feel comfortable with. Because of the slow legal process and even slower marketing requirements when selling a house traditionally ie through an estate agent, many people whose main priority isn't achieving the highest amount of money have been pleased to receive payment within a week of offer. Often these are people who have inherited a property they don't want to have to look after, couples separating who want to move on in terms of their lives as well as property or those taking a good job offer out of the area who do not want to become so called 'accidental landlords'. Therefore in a free market this service should be available. Are Companies Dealing With Sellers Fairly And Within The Law? Obviously not or I guess this study would not be taking place. It will likely transpire that many of the issues sellers have are caused by Option Agreements which tie an owner to a buyer, but crucially not the other way around. A true cash buyer won't need these, the owner should be free to change their mind at any time before exchange without penalty or fee. Often such agreements are made without the advice of a solicitor. Stories about renegotiation with the seller's removal van parked on the drive can only be due to this style of agreement, a solicitor approved contract is not subject to change once exchanged. 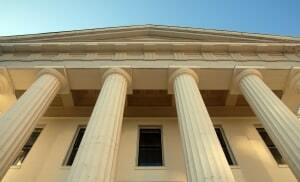 Treating a customer within the law but also within the spirit of the law is paramount. Compliance with existing legislation such as The Estate Agents Act 1979 and Advertising Standards Authority rules would be a start as it would ensure adverts weren't misleading and offers were confirmed properly in writing, personal interest declared and so on. We shall see what happens over coming months but in the meantime, anybody thinking of using a quick buying company should do their research, check any accreditations the company has, use a good solicitor and, most importantly, not sign anything until checked legally. Last updated on 18/04/2013 by Jonathan Rolande.